Breaking News: There has recently been a new discovery of an entirely different species of T-Rex. Paleontologists have found the full skeleton of a smaller version of the original monster lizard and have decided to name it Tilly. The fossil seems like a bit of a diva, those Paleontologists might have dug up more than they can chew! Scientists are currently working on using the DNA found in Tilly's bones to bring it back to life and thus create the first living species of dinosaur in millions of years. 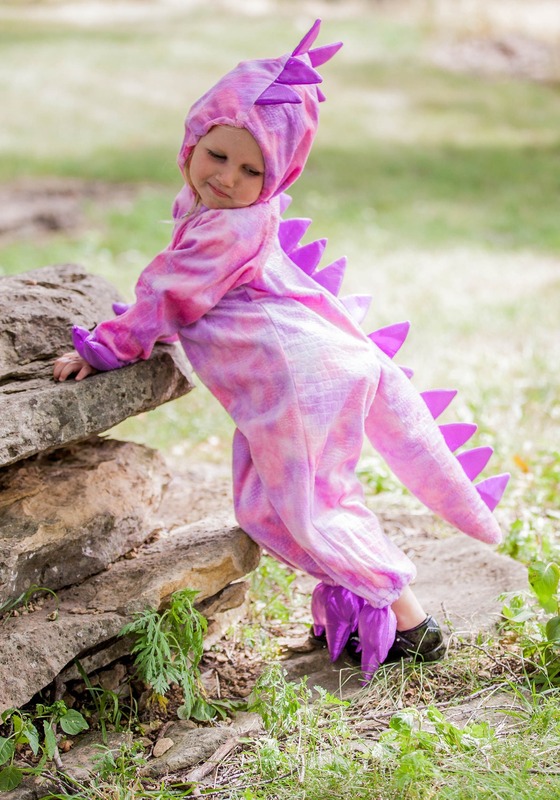 Currently, they have been able to digitally render the skin back onto the bones to reveal that, contrary to much popular belief, dinosaurs had pink and purple skin as well as shiny spikes, hands, and feet...And it's adorable! It's theorized that although this dinosaur was probably not the most feared... it was actually the most loved by all the other dinosaurs! Do you have a prehistoric diva on your hands? She'll have a roaring good time in this getup. 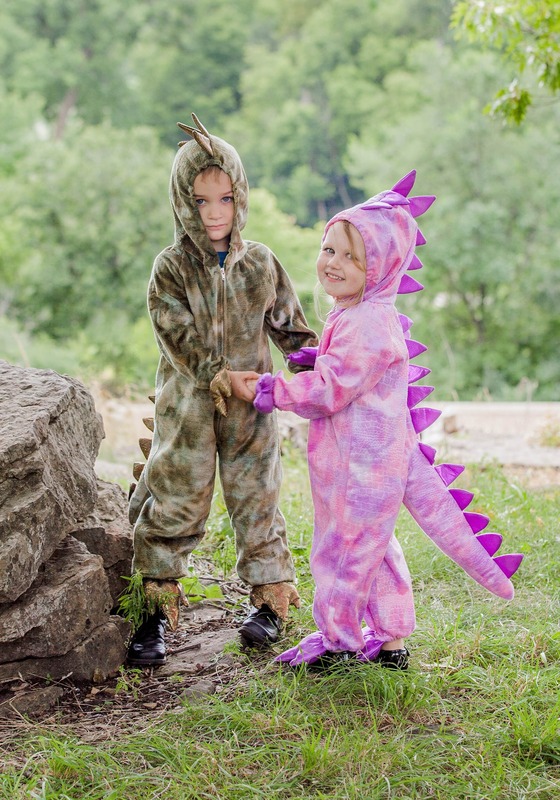 Dress up your little child in this fluffy and snuggly Tilly the T-Rex dinosaur costume and she'll soon be roaming where all her favorite ancestors roamed throughout the land. 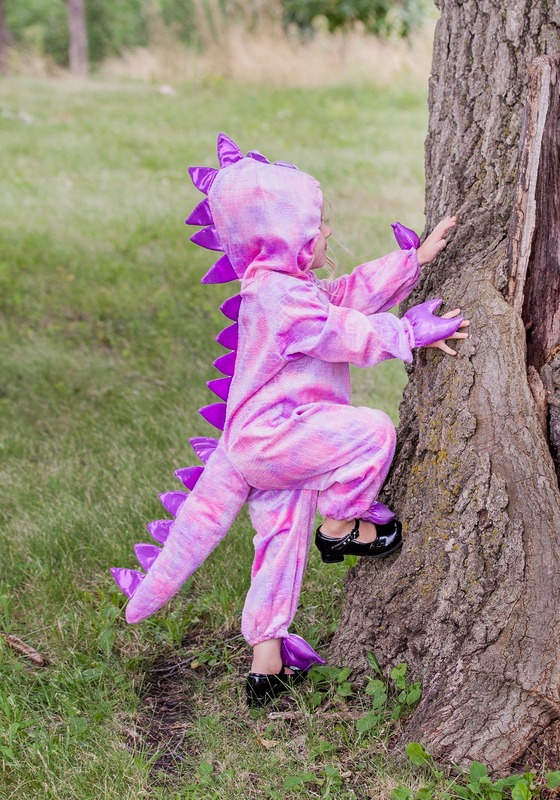 The pink and purple jumpsuit has soft-sculpted dinosaur features that she’ll love! She might be off scaring the house cat or dog, but you'll sure get a kick out of seeing her little tail bounce around throughout the house. Just be sure to keep plenty of dinosaur-shaped chicken nuggets around so she doesn't wander around looking for the neighborhood herbivores to snack on. If she leaves home without having lunch, then your little chomper might just eat them up! 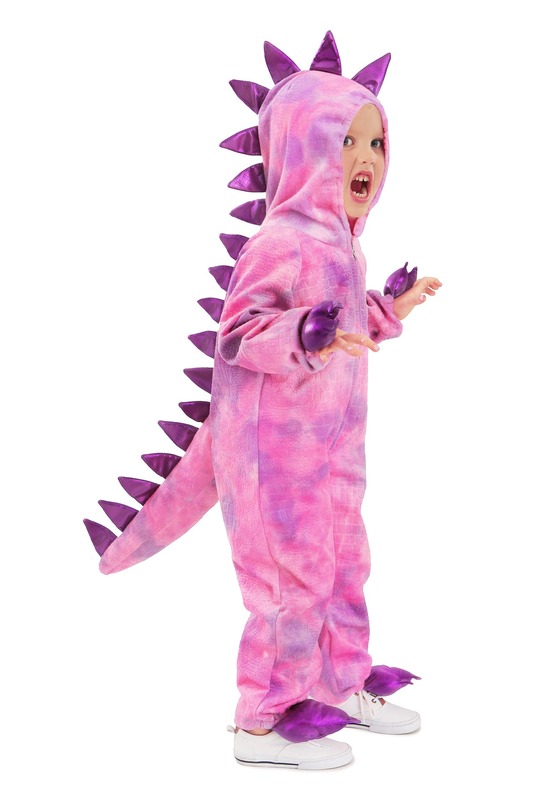 We decided to purchase this for 2 1/2 year old for halloween, although it is the end of August we wanted to be prepared. We ordered a size S (6) and it is perfect. It is big enough with plenty of room for clothes underneath even though the costume feels pretty thick. She absolutely loved it and has yet to take it off. Pink T Rex was perfect! Fit great! Good quality too. We received a lot of compliments on our daughter’s costume. Very happy we bought it! My daughter loves it. It fits well and seems to be made of durable material. Excellent service !